In this review we show why you should not buy the Crypto Millionaire Master Plan (or Bitcoin Millionaire Master Plan) of Palm Beach Research Group and Teeka Tiwari. Tiwari is offering you a package of videos, e-books and investment advice about which cryptocurrencies to buy right now. It is his Crypto Millionaire Master Plan and he claims that he can help you become a millionaire thanks to cryptocurrencies. The package cost $4.95. So, can you become a millionaire for five bucks? We needed just a quick look at Tiwari’s plan to see that it is scam. Tiwari is obviously one of those hindsight gurus who show you what you could have earned, if you invested in cryptocurrencies back in time. Everybody can look at old charts and say how much you would have earned with cryptos, of for example with stocks of Apple, Google and similar successful companies. 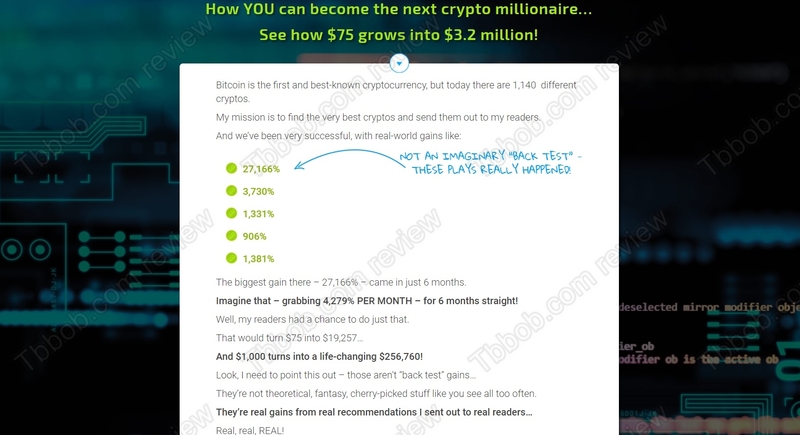 Tiwari claim that with his Crypto Millionaire Master plan you can make thousands of percent each month, which is total BS. One quick note, Tiwari says he will tell you which cryptos to buy right now. This is investment advice, but Tiwari obviously is not a licensed investment advisor, so his Crypto Millionaire Master Plan is an illegal product. The most obvious proof that Crypto Millionaire Master Plan is a scam is in the testimonials and reviews. They are fake. Check our picture to see that Tiwari used stock photos to fabricate success stories. 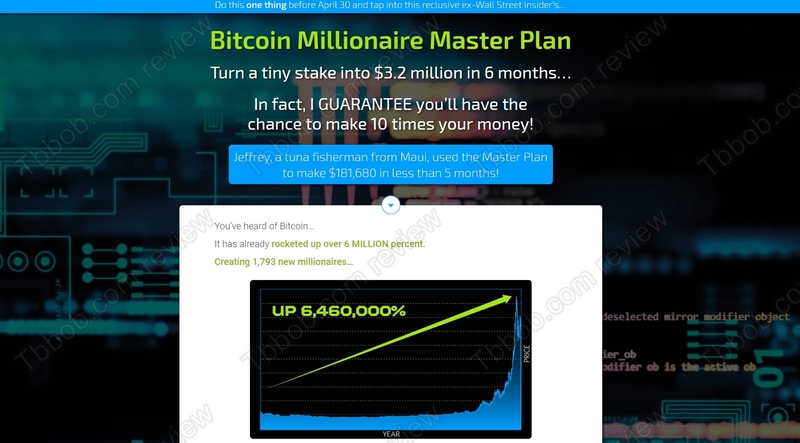 Crypto Millionaire Master Plan is a scam, don’t buy it! Make no mistake, it is possible to make money with cryptocurrencies, but a 5-dollar advice won’t make you a millionaire. You can try a free demo with a regulated broker to see how it works. Remember that it is possible to make, but also to lose money in trading, so be responsible.